C. W. Faulkner & Co Ltd, 79 Golden Lane, London E.C. 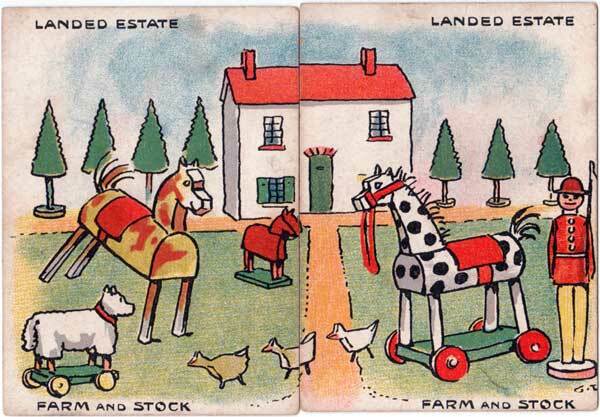 An important publisher of games, pictorial souvenirs, children’s books, and postcards. 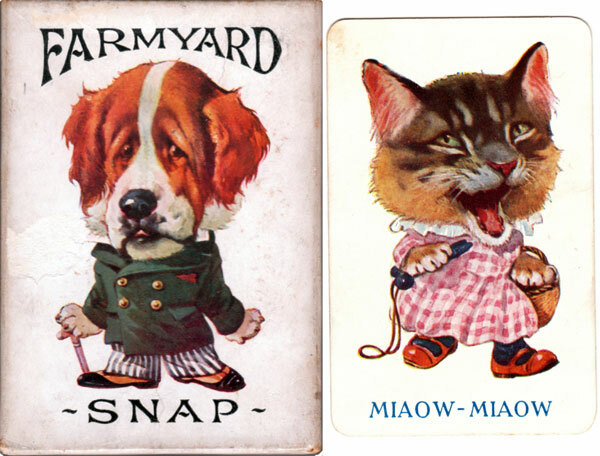 C W. Faulkner & Co were prolific card game manufacturers and art publishers for over 80 years (c.1870-1950s). Faulkner was originally in the Christmas card business together with Albert Hildesheimer working as lithographers and printing in gravure. In 1885 the partnership ended with Faulkner taking over the business, becoming a limited company in 1905. 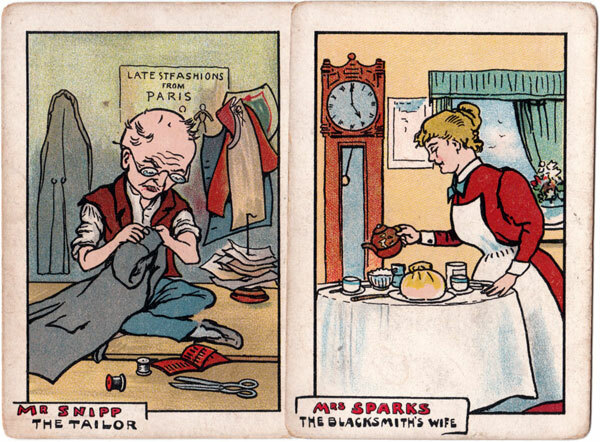 They published a number of family card games illustrated by well-known artists of the day, including Ethel Parkinson (1868–1957), John H. Bacon (1865–1914), George Lambert (1873–1930) and Albert Ernest Kennedy (1883–1963). 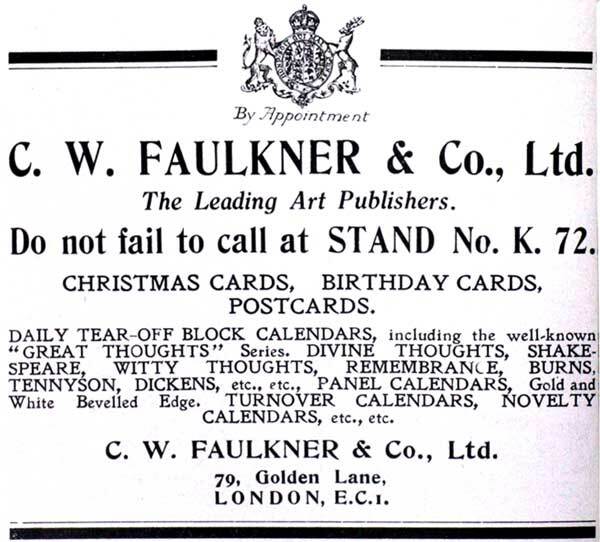 C. W. Faulkner and Co also produced all types of Calendars, Christmas and New Year Cards, Birthday Cards, Painting Books and Boxes, Motto Cards, Diaries, Story Books, etc. and in 1922 they were cited as “The Leading Art Publishers”. 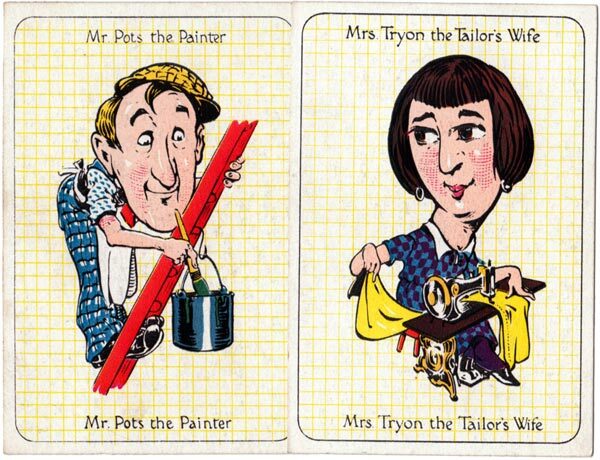 Many of their cards were printed in Germany and Austria. 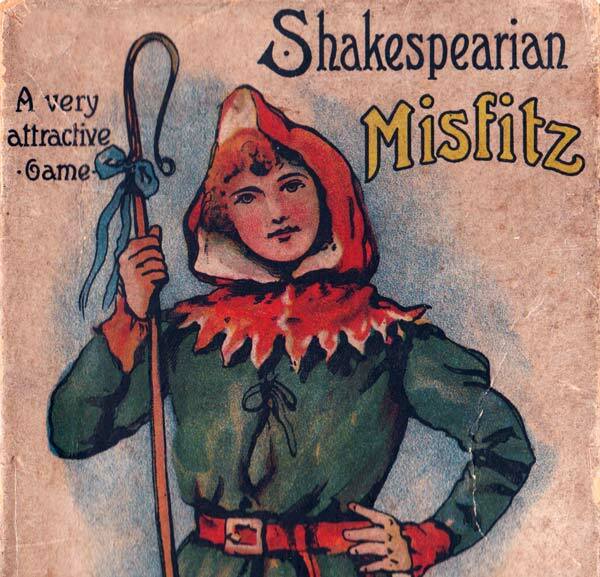 Above: list of principal games on the back of the “Shakespearian Misfitz” box, c.1907. A number of other games do not appear in this list, including: Dolly Dump Misfitz, Hurry-up Misfitz, Kings and Queens of England Misfitz, All The Winners, Race Cardo, Fee-Fi-Fo-Fum, Happy Families, Busy Families, Bargains, Fighting for the Standard, Mallentino, Questions & Answers, Stock Exchange, Musical Notes, Spot it, Union Jack, The Cat & The Mouse, Attracto, Association Football, Cries of London, Farmyard Snap, Kicardo, Bluffing Snap, Domestic Economy, Card Golf, Musical Snap, Flora, Authors, Animals, Our Pets Snap, Zooloo, Circulating Library, Fox & Hounds, Fairy Tales, Empyr as well as Jig-Saws. NOTE: On the boxes of games published by C. W. Faulkner & Co it often reads: “Printed in Bavaria” or “Printed in Saxony”. Faulkner marketed Dondorf packs in their own boxes, best-known is probably Dondorf’s / Faulkner’s Shakespeare pack, but there are also others. However, Dondorf was in Frankfurt/Main, and that was neither Bavaria nor Saxony but Prussia since 1866. J. W. Spear might fit with Bavaria, as they produced in Nürnberg, but otherwise I do not have any definite information where the cards might have been printed. (Thanks to Peter Endebrock for this information). Above: “Bargains”, designed by George Lambert, c.1900, offering an insight into the wit of a different era. 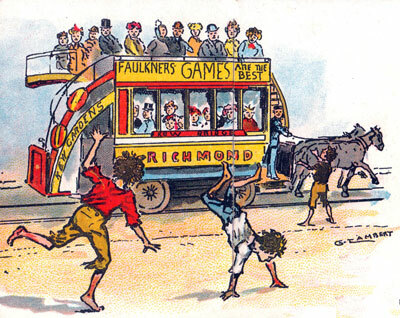 Faulkner employed well known artists (in this case George Lambert) to design the cards and from the poor state in which most of them have survived it’s obvious that children played with them a lot. The early packs contained 72 cards like this one which is one of the rarer games. See original description in C.W.F. Games list above. Above: Images and notes courtesy Rex Pitts.